What are the top stories leading up to the big event! 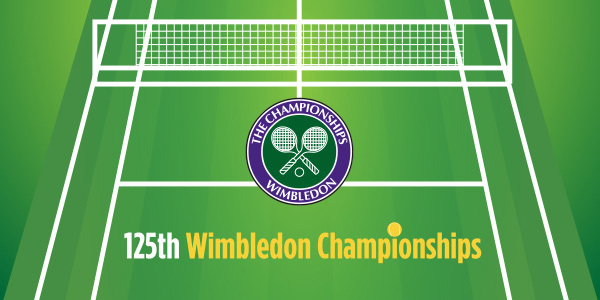 Monday 27th June marks the start of the 125th Championships at Wimbledon! To many of us this means settling down to watch the matches with a glass of Pimms, eating strawberries and cream and generally getting into the spirit of Wimbledon. Ok, in reality we are probably drinking a cuppa and watching it in the ‘background’ whilst playing with the kids, or doing ‘house stuff’? Or maybe that’s just me! One thing is for sure, leading up to Wimbledon many of us will focus on the fitness and performance levels of Andy Murray, evaluating his chance to take back the Men’s singles title he won 3 years ago. We probably also have a cursory look at some other British hopefuls coming to the fore, and check out the likes of Djokovic, Nadal and Serena Williams, to name a few. So, what stories have been prominent leading up to this year’s Championships? This story highlights his win in the recent Queen’s tournament, showing him to be on top form in time for Wimbledon. Murray beat Milos Raonic to become the first man to win the Queen’s club title five times. It’s looking promising! An embarrassing situation for Nike, having to recall its Wimbledon tennis dress after players who wore in the qualifying stages, struggled to cover up. World No. 775 Willis beat Russian Daniil Medvedev at Roehampton to be the lowest ranked player at Wimbledon. He almost quit but then was convinced to give it a go. Don’t you just love an underdog! Andy Murray has admitted it will be strange to play against fellow Brit, Liam Brody. Brody is ranked at world number 234, a Wimbledon wildcard and one of the new generation Murray has helped mentor. As I had predicted, there are many stories talking about Andy Murray and his prospects at Wimbledon this year, and surprisingly even some fashion related news! There are some inspiring stories of hope for former Champions and excitement over fresh talent, wetting the appetite of many a tennis fan I’m sure! At Pelling, we are excited by the start of Wimbledon, and hope to catch as many matches as possible. Enjoy! EU Referendum – Social media goes crazy! Welcome Samantha Percy as our new Graphic designer!